Los Angeles Rams There are 6117 products. 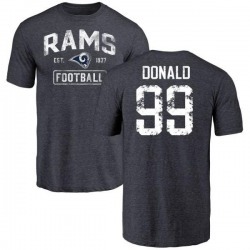 Get the perfect look to let everyone know you are a stylish Los Angeles Rams fan! With eye-catching graphics, this Men's Todd Gurley Los Angeles Rams Backer T-Shirt - Navy will show everyone that you know how to display your spirit in style. With a comfy tee and that classic look you love, you'll be ready to head anywhere and know that you look your best. Get the perfect look to let everyone know you are a stylish Los Angeles Rams fan! With eye-catching graphics, this Men's Cooper Kupp Los Angeles Rams One Color T-Shirt - Ash will show everyone that you know how to display your spirit in style. With a comfy tee and that classic look you love, you'll be ready to head anywhere and know that you look your best.